Glass of Fancy » Blog Archive » Valentine’s Day Gifts… for the Non-Hallmark Crowd - Fashion, fiction, and life in the city. 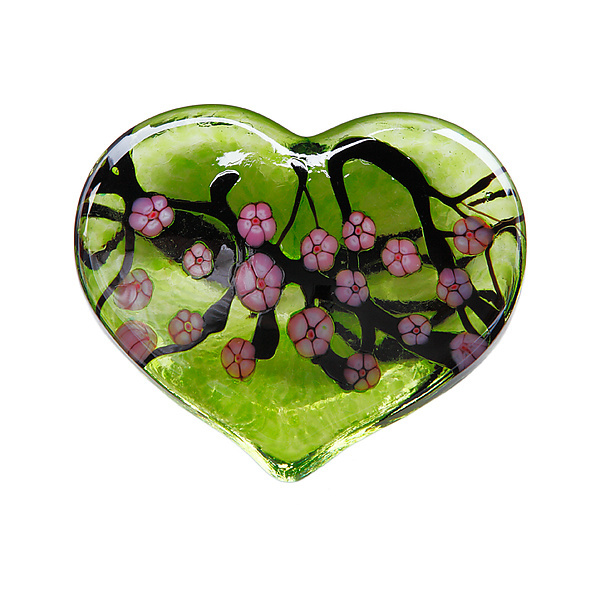 For the traditional set: art glass by Robert Held. February at last! I’m generally not a fan of February; here in the north, it is often the time for the most abysmal weather of the year, and not much to compensate for it. However, this year I’m seeing three events to look forward to this month: a leap day (must think of something good to do with “extra” day), Jason Wu for Target (starting the 5th; I know, I’m easily excited), and Valentine’s Day. The local Walgreens are already full of pink and red M&Ms, and all the blogs and talk shows are starting to put out their gift guides for this year’s festivities. 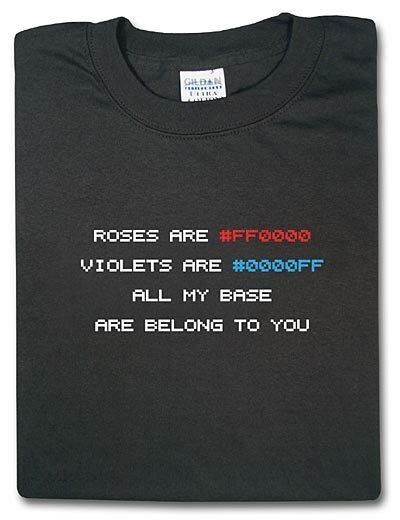 Permit me to add my two cents on Valentine’s day gifts. Here are a few selections for those who are not anticipating dressing up in pink on the 14th. I should note that if your SO is expecting dinner at Per Se and/or will be offended if there is not a card using the words “soul mate” involved, you should probably not take any of my suggestions. I admit, I once made a boyfriend about 15 dozen pink and white M&M cookies for Valentine’s day just because I knew it would annoy him. But my suggestions are fun all the same. Yeah, that’s right. It’s a T. rex arm length joke. 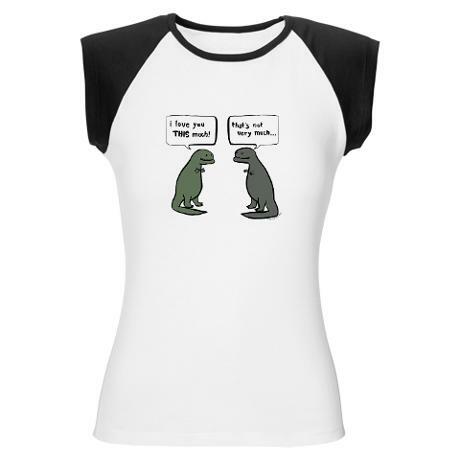 A ROMANTIC T. rex arm length joke! And thanks to the wonders of CafePress, it’s available on men’s t-shirts, women’s t-shirts, men’s pajamas, coffee travel mugs, and even iPhone cases! Okay, this may not be quite the right thing for for your i-banker honey, but if on the other hand your SO plays computer games or is a member at the AMNH, it might be perfect. If you don’t get the joke — be proud of yourself. 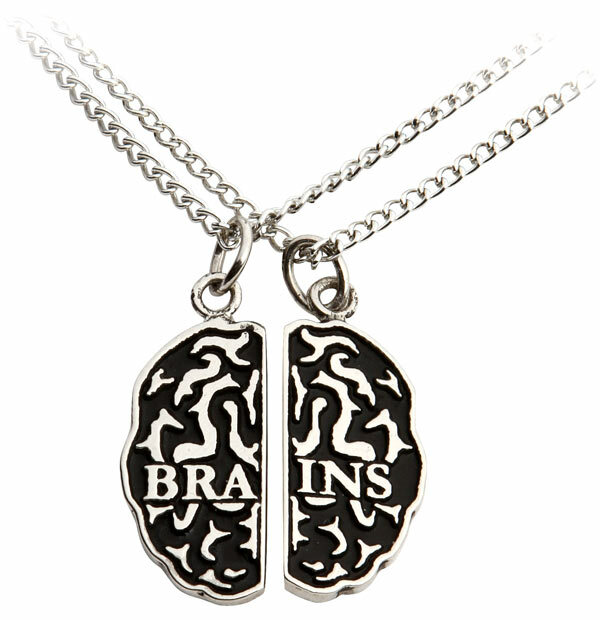 Accessorizing for the “The Walking Dead” crowd. This one I stumbled on t Refinery 29. The front says “sleep.” The other side? Let’s just say it doesn’t say sleep. 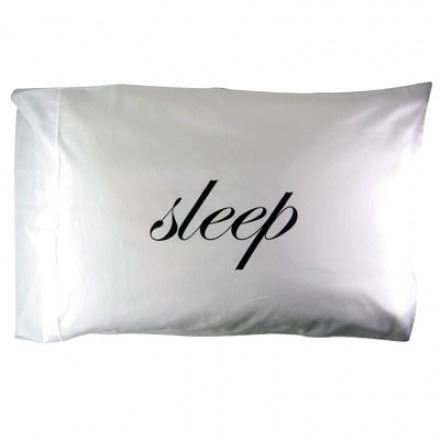 If you have difficulty asking for what you want in the bedroom, flipping this pillow over will take care of that for you. What’s a more romantic gift than a pillowcase that tells him that you’d like to get right down to business? 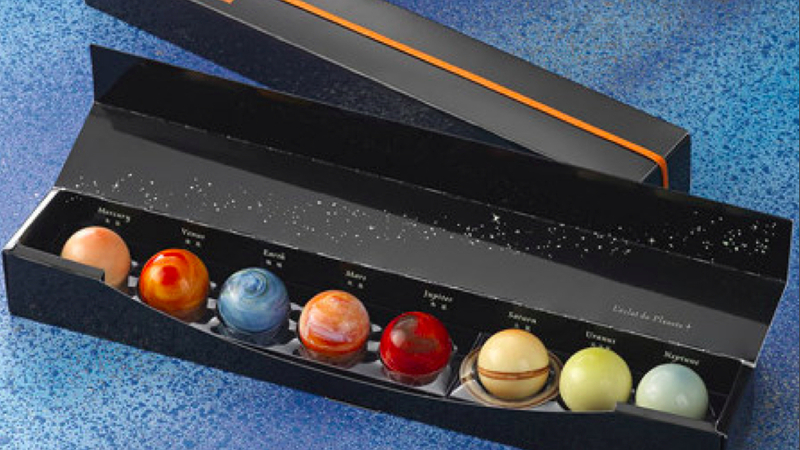 Thanks to io9 and the Japanese for this one: the solar system, in chocolate. No, really. 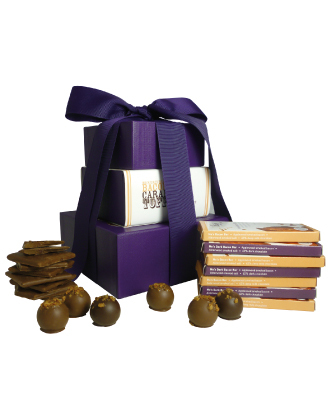 Each planet is a differently flavored chocolate truffle (we here on earth are apparently plain cacao). Admittedly, I know only one person in a relationship with an astronomy professor, but this gift is MADE TO ORDER. Your SO have too many star-finder apps on his or her iPhone? Here you go. Chocolate and bacon. Need I say more? Admittedly, this is not for everyone. I know that out there right now there are people saying “Bacon chocolate? My God, that’s disgusting!” However, I also know that there are people out there saying “Bacon chocolate? That’s GENIUS! Give it to me now!” Bacon has a cult-like following, as does chocolate. If you are among the crowd who likes a little salty with their sweets, dark bacon chocolate may be one of the best ideas ever. And as for the tower, anything worth doing is worth overdoing, no? The updated 2013 edition here! This entry was posted on Thursday, February 2nd, 2012 at 8:00 am	and is filed under Frippery, Life. You can follow any responses to this entry through the RSS 2.0 feed. You can leave a response, or trackback from your own site. i definitely do not get the t-shirt joke. on the other hand, i *do* know an astronomy professor! he’s single, but perhaps someone should buy that for him anyway. although those are too pretty to eat. I should note that the brother of the astronomy professor I know immediately pointed out that Jupiter and Mars have been reversed in the box. You see what my life’s like? Oh no! Got the shirt. Sadness and geeky exposure. But I didn’t notice that the planets were mixed up. Maybe I’m still safe. I actually like the T-Rex shirt. It made me chuckle when I read it! The planets I thought were some kind of strange egg thing. It seems my geekiness is pretty limited to specific areas because even when I read they were planets, I never actually noticed anything about two of them being reveresed.